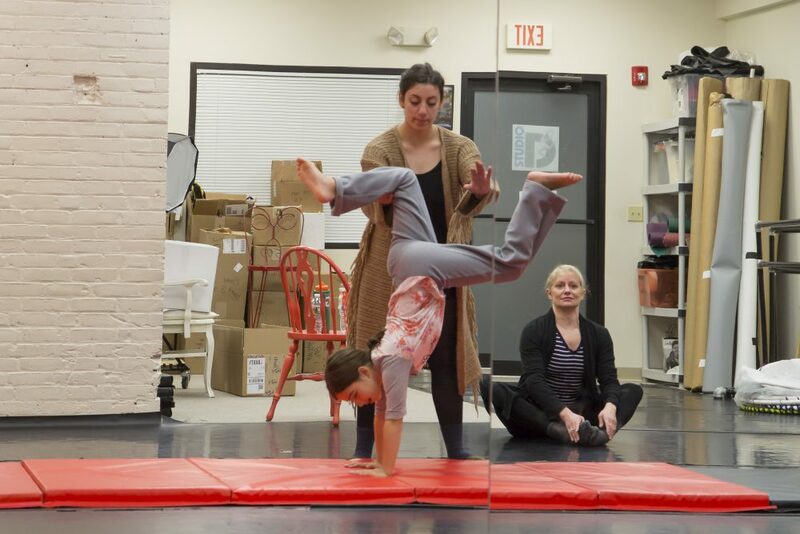 Classes begin with a warm up aimed at building strength and increasing flexibility. 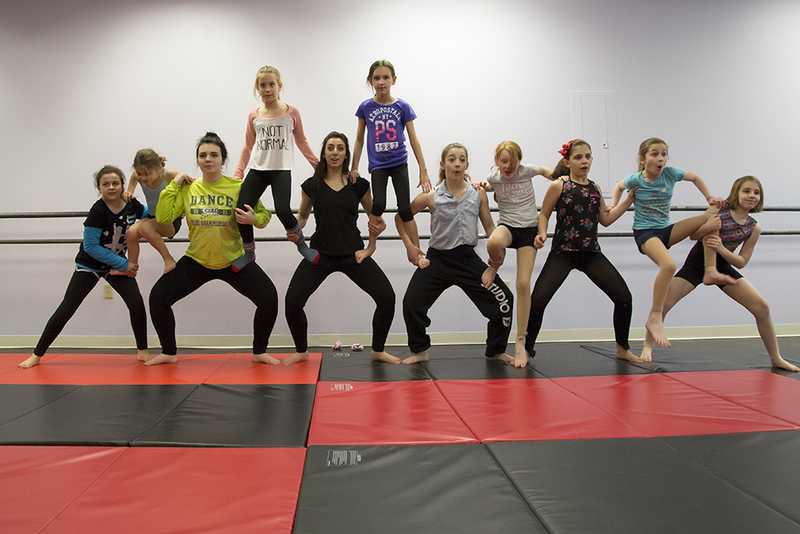 The basics of tumbling are taught from rolls, back bends and handstands to cartwheels and front and back walk overs. Students gain confidence physically and mentally as skills are mastered. 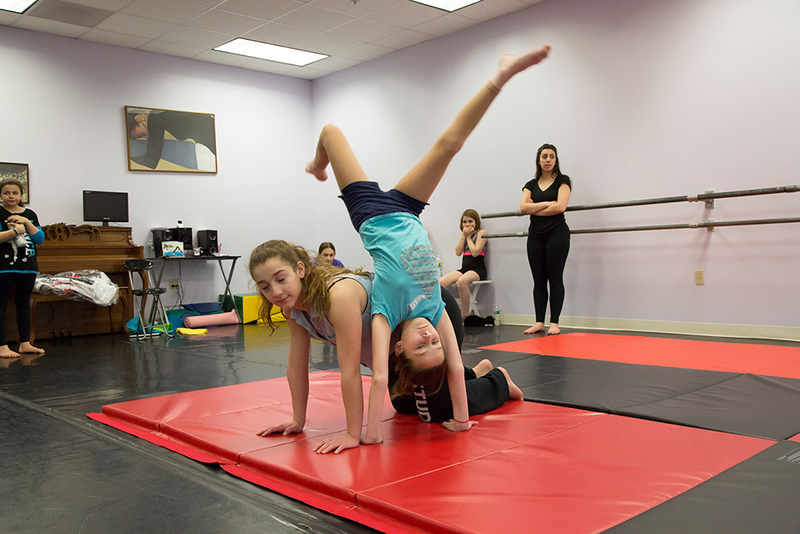 These classes are taught with dance in mind and give dancers a real sense of their body in space and increase the students movement possibilities. Some partnering skills are developed-taught as well as modern dance techniques. Hair needs to be pulled up off the face and neck and must be out of your eyes. Short hair: Clipped away from the face. Long hair: Hair must be pulled back and worn up off the neck. Wear form fitting dance wear such as a leotard and footless tights or a dance tank top with dance pants/yoga pants. (Dance shorts over tights are fine too). Black is preferable for Modern. No shoes are required for Modern Dance, Choreography class, Gymnastics or Pilates/Yoga classes.